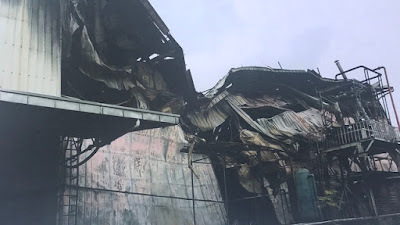 In the wake of a third fatality in the massive factory fire at the House Technology Industries (HTI) in the Cavite ecozone, the labor group Partido Manggagawa (PM) called on the Department of Labor and Employment (DOLE) to deputize unionists as inspectors to ensure enforcement of general labor and occupational safety and health (OSH) standards. Cavite Governor Crispin Remulla confirmed the third death due to the HTI factory fire last February 10. “We ask DOLE Secretary Silvestre Bello to approve the pending proposal that union officers be accredited as labor inspectors to beef up the labor standards enforcement system. With just a twist of Sec. Bello’s pen, labor leaders can be deputized, the number of inspections can be multiplied overnight, enforcement can be strengthened immediately, and workers lives and limbs can be saved as a result,” appealed Rene Magtubo, PM national chairperson. “The DOLE only has some 600 inspectors to cover around a million establishments nationwide. In 2013 just around 40,000 enterprises were subjected to inspections, self-assessments and visits. The numbers can easily be increased several fold by deputizing union officers as labor inspectors. Even if just 10% of the 17,000 local union presidents are accredited, this is already thrice the present number of inspectors,” elaborated Magtubo. PM insisted that the DOLE already allows local government units to undertake technical safety inspections in order to complement its efforts and so there is no reason not to mobilize workers groups in labor enforcement. “All the DOLE has to do is train union officers in the labor inspection and enforcement process and then accredit them appropriately,” Magtubo added. In the DOLE's Labor Standards Enforcement Framework, unions with collective bargaining agreements are given a role in self-assessment for their enterprises. “If unions play a responsibility in ensuring labor standards and occupational safety in their own workplaces, it does not take a leap of logic to allow them a task in inspecting other enterprises,” Magtubo argued.